There's something intriguing about a pop-up book. Recently, I've gotten into playing with the pieces of my pages. Pockets, flaps, spinning parts, accordion pages. Things that jump off the page! These new aspects to my pages add to the layers of metaphor and meaning. And give me great joy as I return to them, time and again. 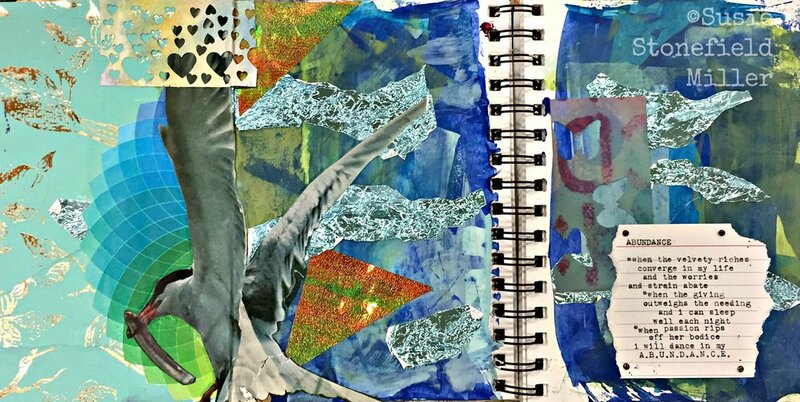 I'd like to share the magic of pop-ups and moving parts in your art journal. Join me for an afternoon of experimenting and exploring a variety of easy to implement techniques. All materials included! All supplies included in this cost. WHO: Open to all genders, age 13 and up. CANCELLATION POLICY: Full refund until one month prior (June 7th). After that time we are happy to refund 75% of your registration fee if we are able to fill your spot. Last minute cancellations and no shows (no matter your reason) forfeit their fees.